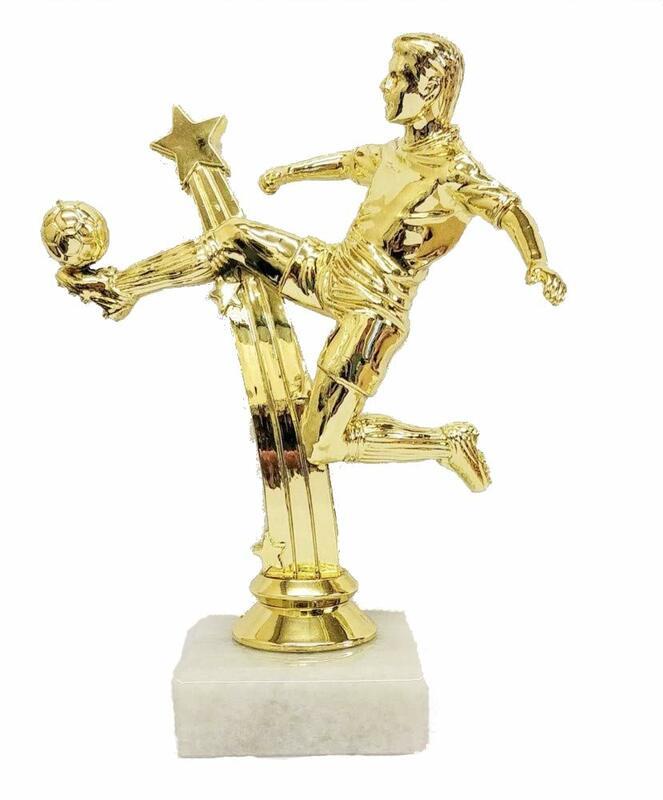 Shooting star male football figure. Bright gold solid plastic football striker figure on a heavy white marble base measuring 6 inches high. Available fully assembled or unassembled with the nut, washer, figure and marble base separate.